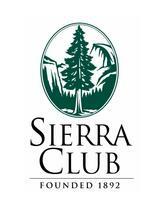 Sierra Club is the largest and oldest influential grassroots for environmental organizations. It had been established on 28 May 1892 by Mr. John Muir (Scottish preservationist and conservationist). Mr. John Muir also became the first president of the club. However, the present president of the Club is Mr. Robin Mann. Sierra Club plans in exploring, enjoying as well as protecting wildlife places on earth. Even they plan for practicing and promoting proper use of earth's resources and ecosystems. Sierra Club focuses on educating and enlisting humanity for protecting and restoring human and natural environment. Further, they decide to practice lawful means for fulfilling such objectives. They have membership of around 14 00,000. There are currently 0 consumer reviews about Sierra Club available. Share your review. Please take a note that you are about to post a public review about Sierra Club corporate office on CorporateOffice.com. This review will be public, so please do not post any of your personal information on this website. If you would like to contact the corporate offices of Sierra Club, please use their contact information such as their phone number, website, and address listed above to contact them. However, sometimes staff from Sierra Club headquarters do read the reviews on this website.